Founded in 2007 Noepe was originally housed in the Point Way Inn in Edgartown on the island of Martha’s Vineyard. It was named one of the top 20 residency programs and provided time and space for over 300 writers. 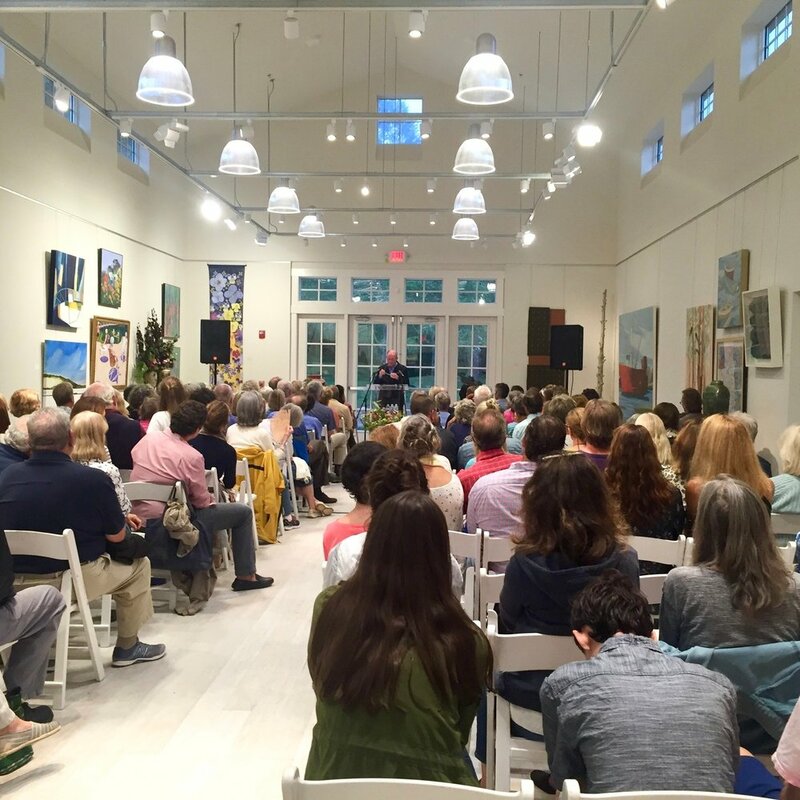 Noepe is now located on the beautiful campus of Featherstone Center for the Arts in Oak Bluffs. We offer open writing hours to anyone wishing for a quiet space to write and workshops taught by some of the world’s finest teachers and writers. Moving forward, we hope bring back our award winning residency program. Additionally, we hope to make our program more accessible to working writers by offering weekend workshops, courses in the business of writing and publishing and short term residencies. Featherstone Center for the Arts, in partnership with ﻿Noepe Center for Literary Arts﻿ and Pathways Arts welcomes you to the Featherstone campus this summer for a variety of poetry readings and workshops. U.S. Poet Laureate will once again be at Featherstone on June 9th, for a reading of his poetry. Tickets to the event are $25 with open seating. Read about Mr. Collins' last visit in this Vineyard Gazette article. Sign up with your email address to receive news and updates on Noepe workshops, readings and events!